Annie, Sara and Katrin - Watch these Nordic Goddesses in action in the latest installment of the popular series. They come from the land of the ice and snow, and they want the gold. In 2017, Iceland’s famous Dottirs vied for spots on the podium in one of the most heated women’s competitions in CrossFit Games history. In the end, Annie Thorisdottir, Sara Sigmundsdottir and Katrin Davidsdottir were stacked together in positions three, four and five, respectively. And they’re far from satisfied. 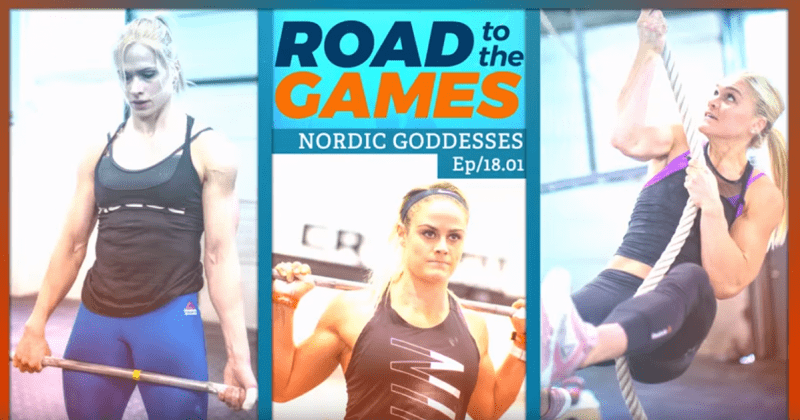 This episode of “Road to the Games,” the first in the 2018 series, follows Iceland’s top three female CrossFit athletes in the months after the 2017 Games. Davidsdottir trains with Thorisdottir when both are in Iceland, and their healthy rivalry pushes the two to go faster and lift heavier. Davidsdottir, who always has a spirit animal that represents her training mentality, says this year she’s going to be a sled dog. Sigmundsdottir, on the other hand, always has a theme song, and in this episode she’s singing “Solid as a Rock” from the TV show “Arrested Development.” Between song refrains, she shares insights into her nutrition habits and tells the story of how she got into weightlifting and fitness training.